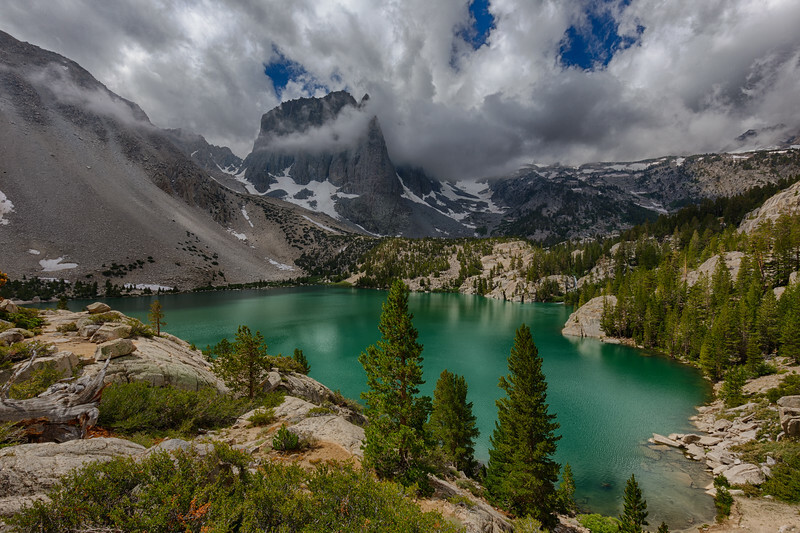 Second Lake and Temple Crag, on the North Fork of Big Pine Creek, near Big Pine, California. I usually don't take many photos in the middle of the day. But this dramatic scene of shifting light and shadows forced me to put away my lunch, and get to work shooting!